The illegal trade in marine resources was dealt another blow yesterday afternoon (2017-11-20) at about 18:30, when police from Swellendam SAPS and K9 Unit performed stop and search operations at the Swellendam weighbridge. Members pulled over a Hino truck and upon searching it they found a hidden compartment in it. 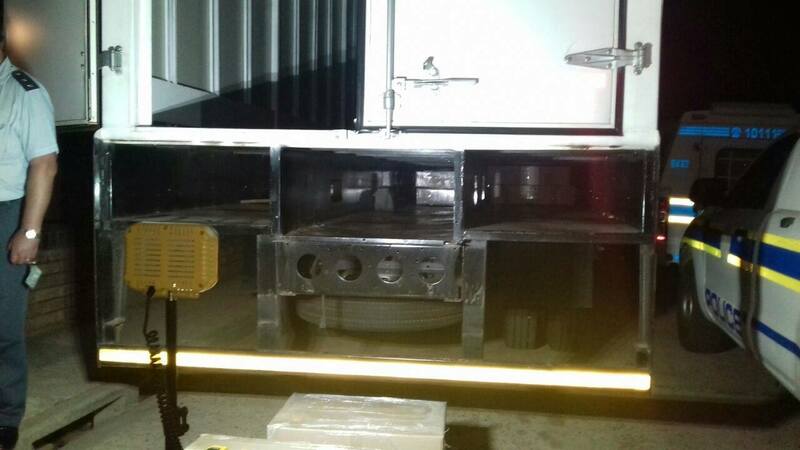 In this compartment members found 1403.2kg of abalone and, when counted, it was found that there were 38 870 units of dry abalone, with an estimated street value of R7.1 million. A 28-year-old man was arrested on charges related to the illegal possession and transportation of abalone. The Hino truck was also seized. The truck was en route to Gauteng. The arrested suspect will appear today in the Swellendam Magistrates’ Court on charges of illegal possession and transportation of abalone. Protecting our marine resources remains at the core of the SAPS’s mandate.